To be honest, I’m not sure how Michael Connelly churns out page-turners year after year, but I am glad he does. I received my copy of The Crossing yesterday, started reading it in the late afternoon, and kept turning pages until midnight. My number one rule for fiction is simple: Do I want to keep reading? If I do, the book is well written. By that metric, Connelly’s latest is a well-written book. Then, Haller offers Bosch a job. 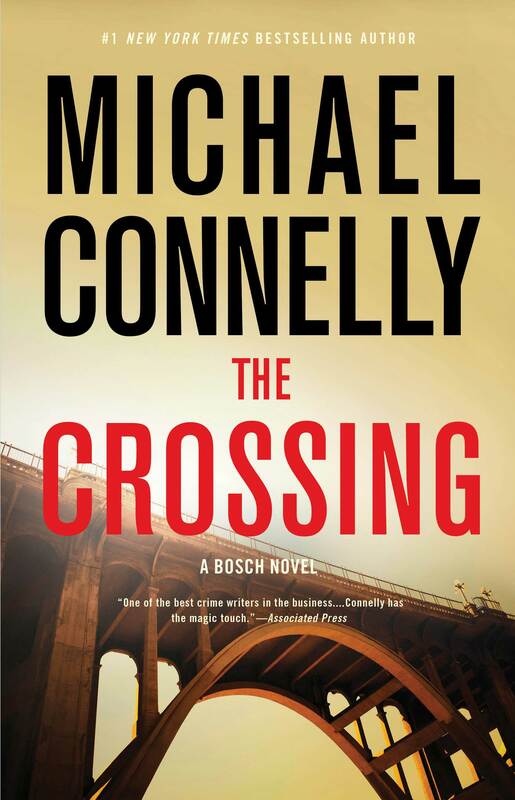 His client has been charged with the violent murder of a well-liked city manager, and Haller needs an experienced investigator to find the “real killer.” Bosch sloughs off Haller’s offer. He’s not going to cross from law enforcement to criminal defense. It would betray his calling and lose his friends on the force. But when Haller insists Bosch at least look at the case’s “murder book” before saying no finally, Bosch starts finding investigative trails that the homicide detectives didn’t take. Specifically, the detectives never identified when the victim’s and the perpetrator’s paths crossed, setting in motion the chain of events that led to the crime. At this point, Bosch realizes that the “real killer” really is still out there, so working for Haller isn’t a betrayal of his calling…it is his calling. The Crossing’s title thus has a double meaning. It signifies a change of profession for Bosch as well as the crucial issue in the case. Like I said, the novel kept my attention for hours, which was funny, because I literally knew who the bad guys are from page 1 on. To me, the only barely plausible element of the book was what seemed to me a deus ex machina-ish rescue of a key character near the end. That’s it. But for a book this good in a series of novels this good, four pages out of four hundred is nothing. Thank you, Mr. Connelly! Please tell me that you have at least one more Harry Bosch book in you! P.S. If you liked my review, please vote “Yes” on my Amazon.com review page.